One of the most memorable days of my life was when motion picture director and editor Robert “Bob” Wise spent the afternoon with me going over the rough cut of my thesis film at the American Film Institute Conservatory. As Bob went through every cut with me and shared his wisdom I kept thinking to myself “My God, the man who edited Citizen Kane is helping me edit my film!” I learned so much from Bob that day, both about filmmaking and about life. One of these “Wise” lessons was his sharing with me his perceptions about a possible connection between the evolution of consciousness and the evolution of the cinema. Over his illustrious 60-year career, Bob observed that the perceptual consciousness of the cinematic audience appeared to advance along with the cinema. As a result, filmmakers expanded their ability to communicate more information, in more abstract forms, within shorter durations of time. Bob explained that when he first started in the film industry audiences required very clear linear story structures, and that gradually throughout his career, the audiences seemed to develop the ability to more readily and quickly project meaning across discontinuous and non-linear cinematic structures. To illustrate one aspect of this evolution, Bob used the example of a cinematic sequence that has a character driving to another character’s house for a meeting. In the old days, filmmakers had to show the person driving the car, stopping the car, getting out of the car, walking up to the house, knocking on the door, and then going inside. Gradually over time, the audience has advanced to the point of being able to accept a direct cut from a person driving a car to them suddenly being inside someone’s house. Wise believed that these advancements in both cinematic expression and the perceptual consciousness of the cinematic audience were the product of an interdependent and co-evolutionary relationship between the cinema and the audience. This observation appears to concur with the contentions of integral theorists Sri Aurobindo, Jean Gebser, and Ken Wilber, and complex thought theorist Edgar Morin, that art and artistic movements and trends, including the cinematic arts, have a tendency to influence and be affected by the evolution of individual and collective consciousness. At the end of our time together Bob was called away suddenly, but before he left the editing room he paused to compliment my work and said, “I hope I helped you a little bit…” Of course, I profusely thanked him and assured him his help was beyond measure. As Bob walked off, I thought about his last words to me and felt a mysterious shift inside me. In that brief moment, it seemed as though I had received a kind of shaktipat, or life-lesson-energetic-transmission, from this amazing man. After all the awards, honors and accolades Robert Wise was still a sweet and deeply humble human being, and his living presence and example penetrated me in ways I still cannot describe. I will never forget that moment, and every moment I was blessed by his presence. 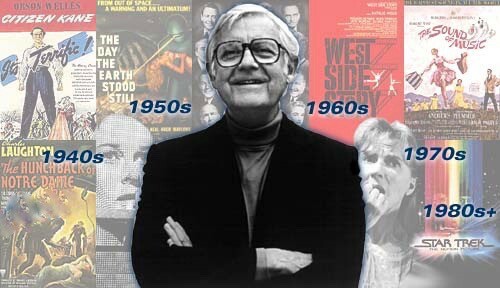 In my heart and mind, I believe Robert Wise was a true Cinematic Bodhisattva. — Sri Aurobindo, Jean Gebser, Edgar Morin and Ken Wilber all deeply explored the co-evolutionary relationship between art and individual and collective consciousness as part of their integrally-informed theoretical explorations. Gebser (1985) focused on doing extensive research on how different structures of consciousness are expressed in different works of art and how that in turn affects the viewer. Aurobindo (2004) explored the application of art within his theories and practices of what he called Integral Yoga and how, with conscious intent, an artist could use their art as an evolutionary practice for self, others and world. Wilber (2001) integrated the work of Aurobindo, Gebser and the research of many others from various domains into an integral art and literary theory that maps out this relationship between creative expression, audience reception and individual and collective consciousness from an integral and evolutionary perspective. Morin (2005) more directly analyzed the moving image and mapped the communicative and potentially transformative relationship between cinematic creator, artifact and audience and the evolution of individual and collective consciousness, culture and society. — Following Bob Wise’s inspiration I have been researching the co-evolution of the moving image, consciousness, culture and society and building an online timeline mapping the co-evolutionary forces within and between these four domains of human being and becoming. — Originally published on Integral Life (11/20/2009). This is a revised and updated version. Aurobindo, Sri (2004). Letters on poetry and art. Puducherry, India: Sri Aurobindo Ashram Press. Kaplan, M. A. (1984). Voice in exile [thesis film]. Los Angeles, California: American Film Institute Conservatory. Morin, E. (2005). The cinema, or the imaginary man. Minneapolis, Minnesota: University of Minnesota Press. Wilber, K. (2001). The eye of spirit: An Integral vision for a world gone slightly mad. Boulder, Colorado: Shambhala Press. I would like to thank Jonathan Steigman for his editorial support; Sri Aurobindo, Jean Gebser, Edgar Morin, Ken Wilber and Sean Esbjörn-Hargens for giving me broader and deeper maps to the territory of my self, others and the world; Corey DeVos and the rest of the Integral Life staff and community for providing the original supportive platform for this publication; Jean Firstenberg, Antonio Vellani and the rest of the faculty and staff of the American Film Institute Conservatory for giving me the opportunity to learn from the masters of cinema; and Robert Wise for blessing my work and life with his wisdom and kindness.